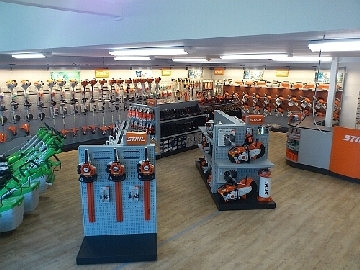 Gusthart"s is a STIHL 5-Star Service Centre, able to provide, maintain and repair the complete range of STIHL products. We always stocked a broad product range, including chainsaws, brushcutters, hedge-trimmers, lawnmowers (including ride on lawnmowers even robotic lawnmowers), personal protective equipment (PPE), all tools and accessories. Arborist Equipment is in huge supply as well with specialist climbing and rigging equipment and expert advice to match. Gustharts can meet all the needs of the professional arboriculturist and horticulturalist, offering an efficient, friendly sales and maintenance/repair service that is second to none. 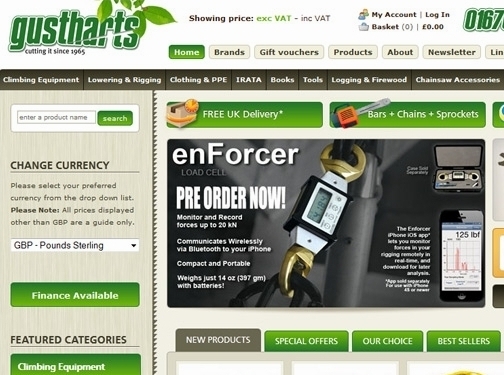 Purchasing on-line is not only easy but delivery is normally next day if ordered before 2pm throughout most of the UK. Registered in England: no - . UK (Newcastle) based business - established in 1985 - providing tree surgeon and garden maintenance supplies. Website includes e-commerce facilities, delivery and returns information (within terms and conditions), associations, full contact details including VAT number.